It’s finally time to slather on the sunscreen and enjoy the summer! 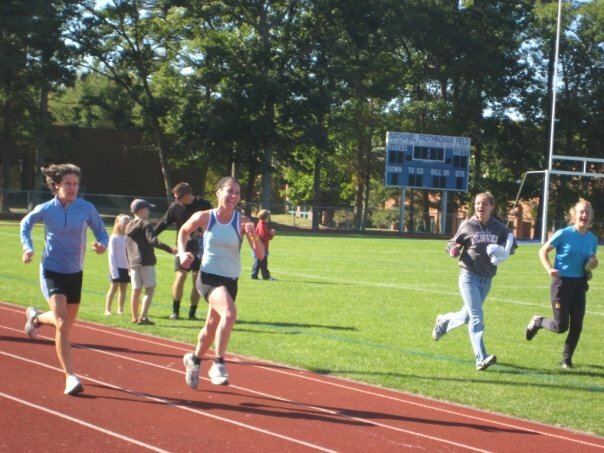 Sunscreen isn’t just for those sweltering hot summer days. It’s important to add SPF to your daily beauty routine throughout the year even when you’re not directly in the sunshine. An estimated 90 percent of skin aging is caused by the sun. By applying SPF daily you’re protecting your skin from harmful UV rays that can lead to longterm sun damage like wrinkles, sun spots and more. 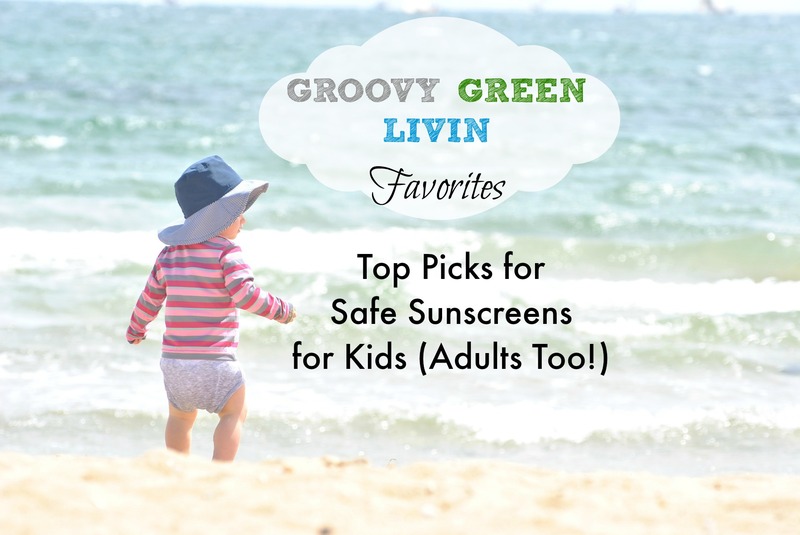 Every summer I test out non-toxic sunscreens and put together my list of favorite safer sunscreens. I’ve even put together a list of sunscreens that don’t leave a film of white paste behind. The good news is that there are plenty of safer sunscreens to choose from. 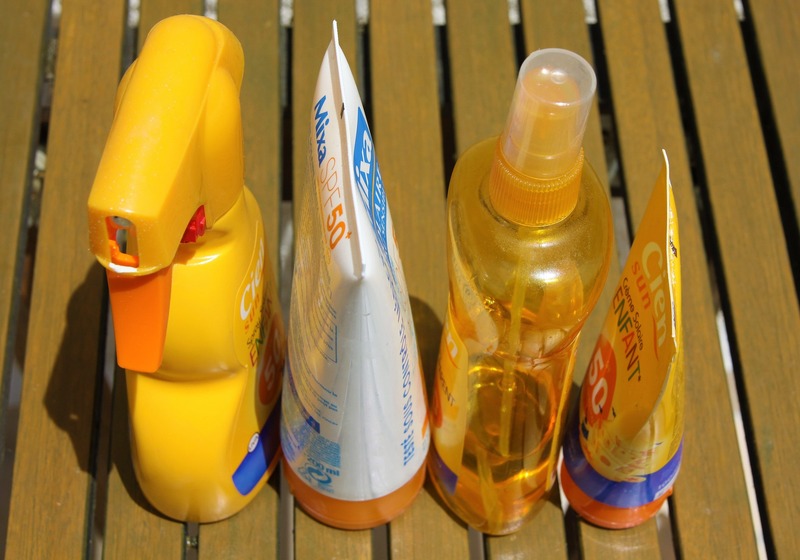 Here are a few of my favorite non-toxic sunscreens that I can’t live without. 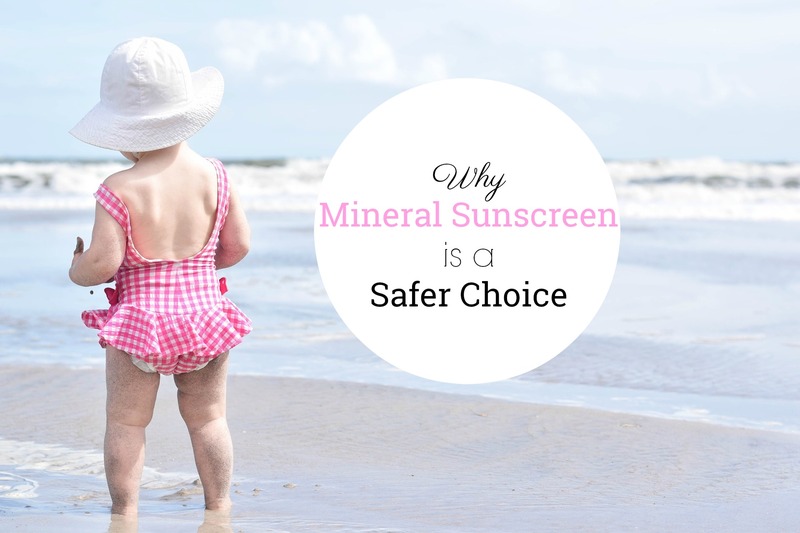 This sunscreen is not just for kids! 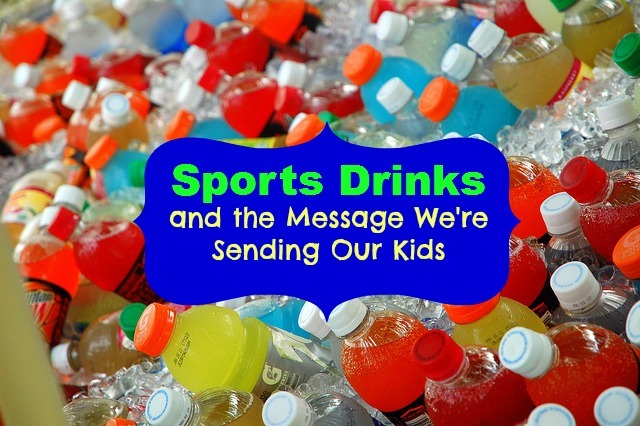 Once All Good Kids Sunscreen Lotion is applied it can last for up to 80 minutes in the water. It’s SPF 30 UVA/UVB Broad Spectrum Protection and comes in a lightweight formula that’s not greasy. It’s also oxybenzone free, gluten free, vegan, non-nano, biodegradeable and coral reef friendly. 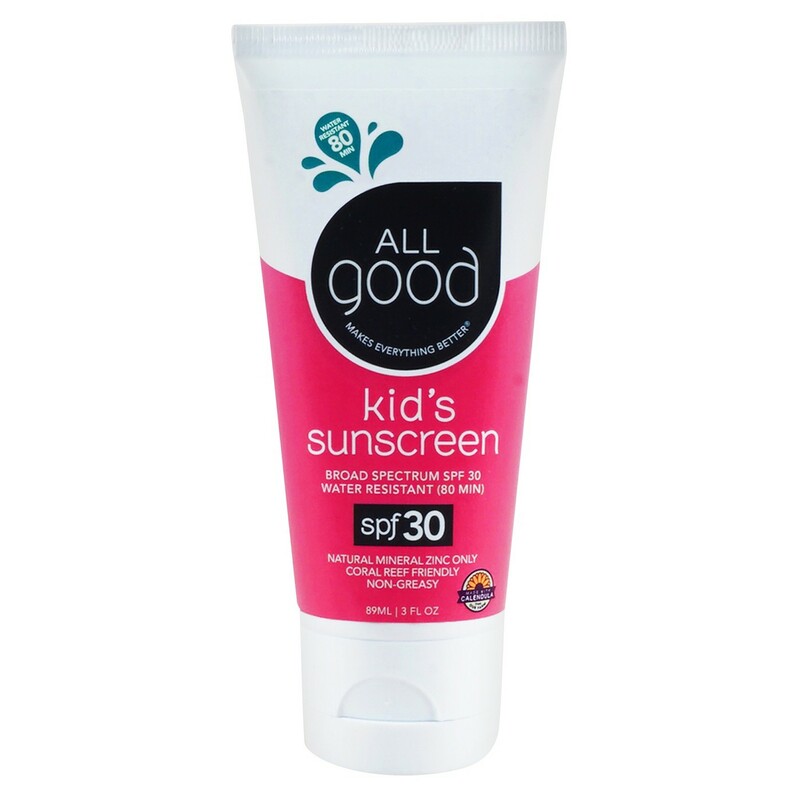 All Good Kids Sunscreen Lotion rubs in easily but leaves a slight white film on the skin. 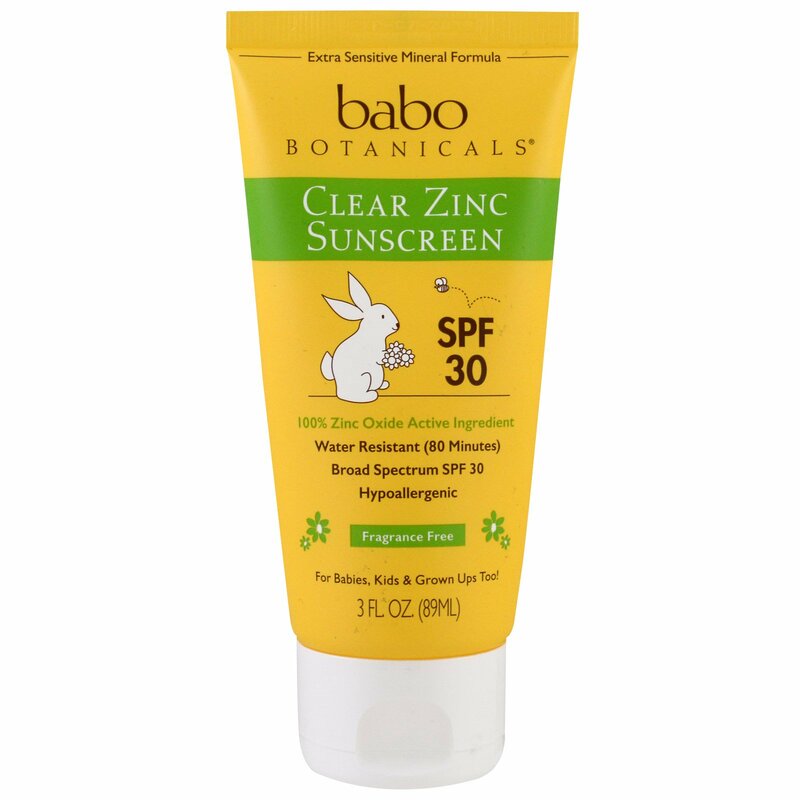 If you’re looking for a sunscreen lotion that has it all Babo Botanicals SPF 30 Clear Zinc Lotion is pretty close. It’s a non-nano, fragrance-free formula, free of soy, dairy and gluten and is 80 minutes water and sweat resistant. If you or anyone in your family has sensitive skin this is a great option. 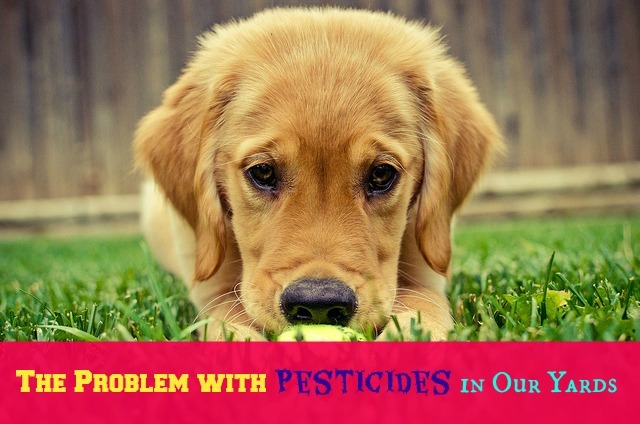 It received a #1 in Safety on the EWG Skin Deep site. This sunscreen is filled with clean ingredients, non-nano zinc oxide and protects my skin without leaving a white film behind. 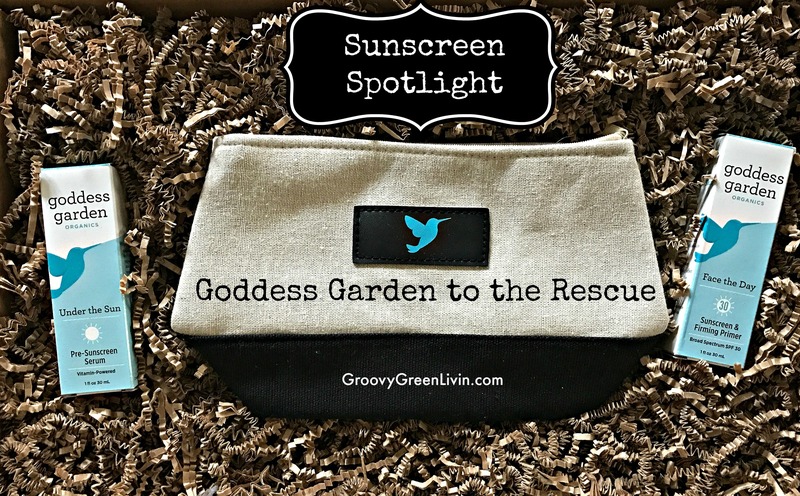 I’ve been a fan of Goddess Garden sunscreens for quite a while. I’m a brand ambassador for the company which means I’m lucky enough to test out some of their new products as they hit the market. This year Goddess Garden is once again a keeper. Their sunscreens keep getting better and better. 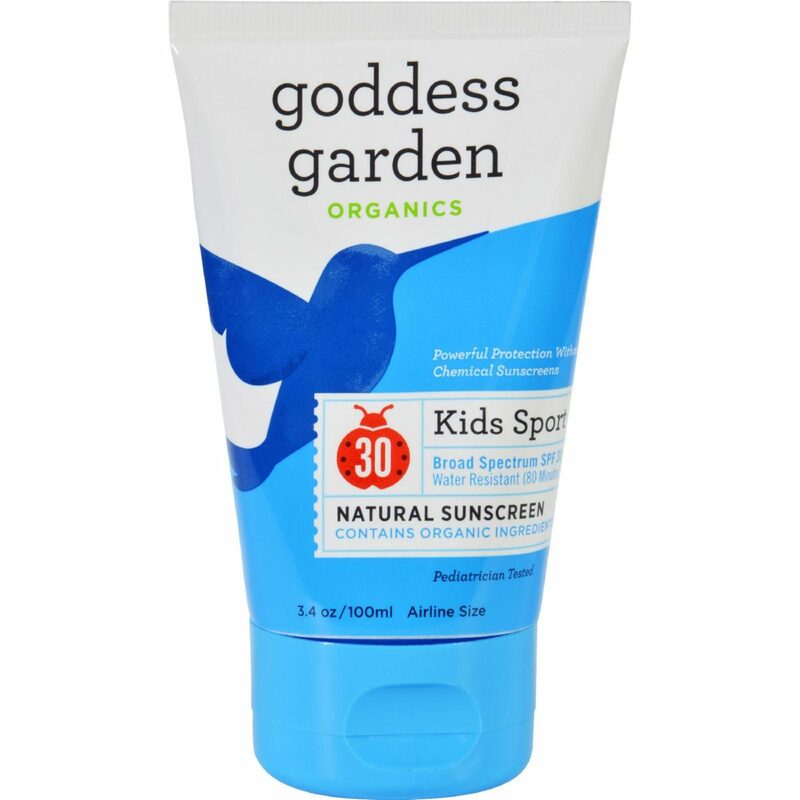 I really like the Goddess Garden Organics Kids Sport Sunscreen and the Goddess Garden Organics Sport Continuous Spray Sunscreen . California Baby Sunscreen has been a staple in our house for many years. Made with a zinc oxide formula, this sunscreen is very water resistant (up to 80 minutes). It is a no fragrance sunscreen made with micronized titanium dioxide that forms a thin film of protection to the outer most layer of the skin scattering and reflecting UV rays offering broad-spectrum protection. It does leave a white film after application. 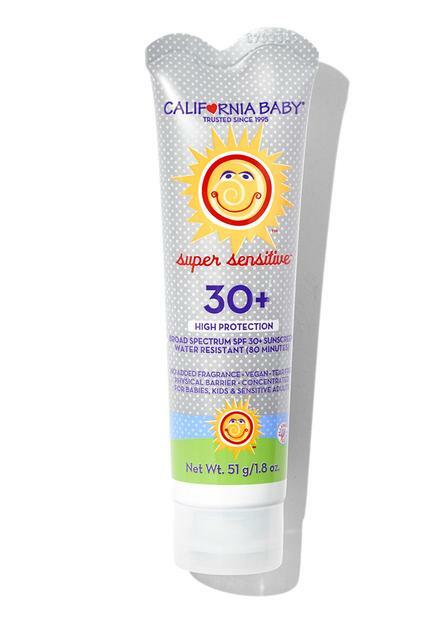 For those with super sensitive skin California Baby Super Sensitive SPF 30 is a must. 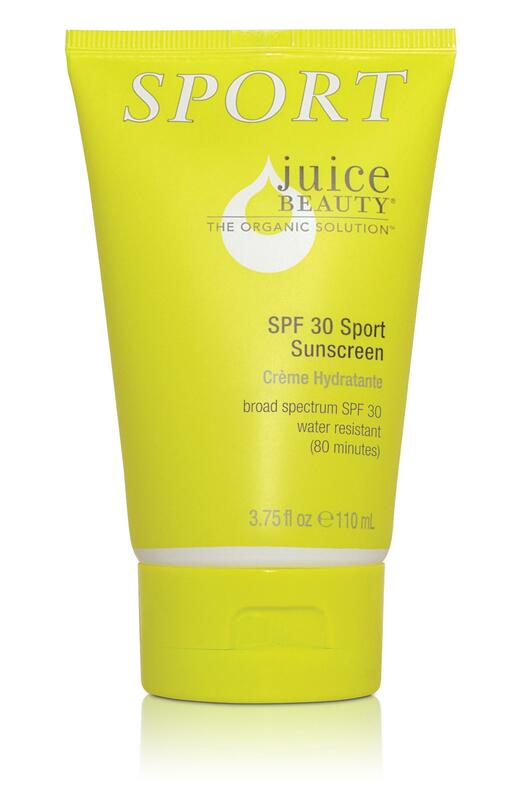 Juice Beauty SPF 30 Sport Moisturizer has an incredible light scent. It’s water resistant and a mineral zinc SPF, with broad-spectrum protection for those long days in the sun. Made without chemical SPF ingredients such as oxybenzone this is a great pick for an active outdoor lifestyle. This sunscreen needs to be rubbed in well since it goes on thick and can leave a slight white cast. I’m very excited to try Beauty Counter’s new line of Sunscreen. It has a high price point but hopefully, it will be a winner. Stay tuned! 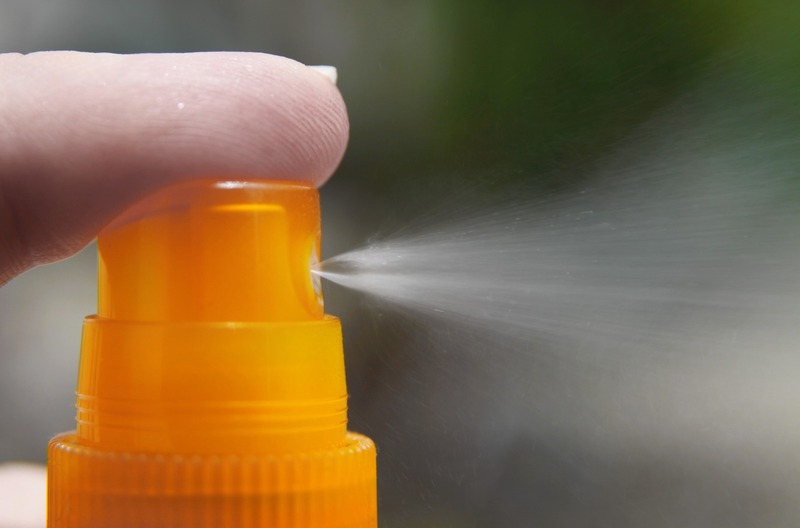 What’s your favorite non-toxic sunscreen? Anything to add to the list? Disclosure: Some links in this post are affiliate links meaning, at no additional cost to you, I may get a small commission if you make a purchase. Thanks for your support! Nice roundup, thank you! I like that these are all mineral based, too, which means that they’re reef friendly as well as people friendly. 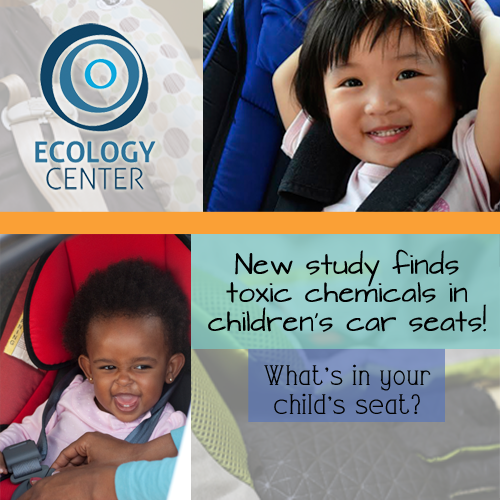 Are There Toxic Chemicals Hiding in Your Child’s Car Seat?